Case study: Wenusjanki - Come Creations Group. Stworzyliśmy jedną z największych społeczności kobiet w Polsce – Wenusjanki. Przez 3 lata integrowaliśmy, inspirowaliśmy i zachęcaliśmy do wzajemnej współpracy kobiety w Warszawie, Krakowie, Wrocławiu, Trójmieście, Kielcach i Poznaniu. Za tę inicjatywę Anita Kijanka otrzymała m.in. nagrodę Lwica Biznesu w kategorii Innowacje, nominację do „Człowieka Roku” magazynu Brief oraz nominacje w kategorii działalność społeczna „Sukces Pisany Szminką”. 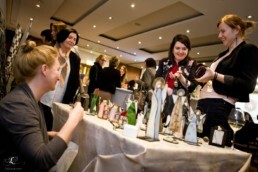 We have created one of the largest women’s communities in Poland. We have created one of the largest women’s communities in Poland. We have created one of the largest women’s communities in Poland. We have created one of the largest women’s communities in Poland. We have created one of the largest women’s communities in Poland. We have created one of the largest women’s communities in Poland. We have created one of the largest women’s communities in Poland. We have created one of the largest women’s communities in Poland. We have created one of the largest women’s communities in Poland. We have created one of the largest women’s communities in Poland. We have created one of the largest women’s communities in Poland. We have created one of the largest women’s communities in Poland. We have created one of the largest women’s communities in Poland. We have created one of the largest women’s communities in Poland. We have created one of the largest women’s communities in Poland. We have created one of the largest women’s communities in Poland. We have created one of the largest women’s communities in Poland. We have created one of the largest women’s communities in Poland.